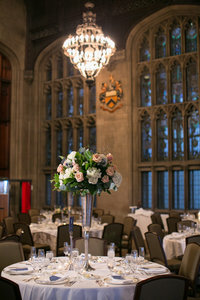 Pollen's primary focus is full-service floral design for weddings, including delivery and set-up in Chicago and surrounding areas. 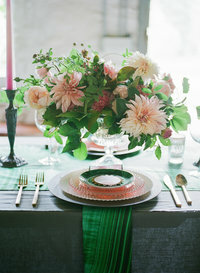 Our wedding work includes personal flowers (bouquets, corsages, boutonnieres), ceremony flowers, and reception flowers. 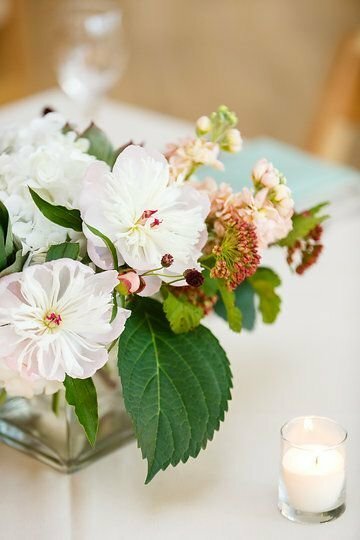 We offer a variety of vase styles and candles for rental to suit the look of your wedding. We provide delivery and set-up of the flowers and, since most clients rent vases and candles from us, we return to the venue at the end of the evening, collect our rental items, and return them to Pollen's studio. The flowers that come back to our studio don't go to waste! They are donated through ReBloom, our floral donation program. We provide one complimentary consultation prior to booking. For the most accurate quote, please come prepared with inspiration photos, wedding party size, estimated guest count, and rough table layout. Once you receive your quote, we place a one week hold on your wedding date. A 50% deposit and signed contract secure our services for your wedding. Once you have your date and venue secured, please reach out to check our availability for your wedding date. 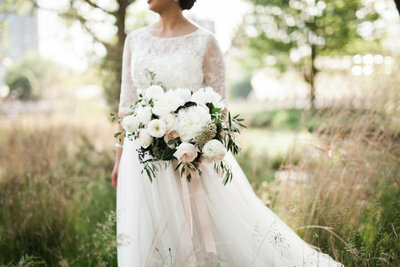 During our busiest season, May through October, Pollen has a minimum order requirement of $3,000 (including tax and delivery) for weddings in Chicago. For holiday weekends and weddings outside of Chicago, our minimum is $5,000.